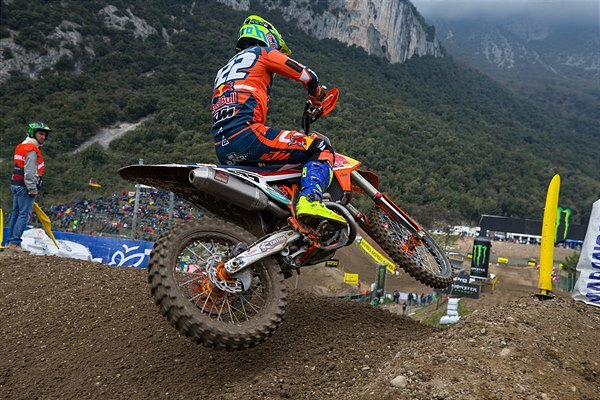 MXGP was in action for the third week in a row and after the speed and jumps of Matterley Basin and the sand of Valkenswaard the FIM World Championship visited the Italian hard-pack of Arco di Trento for the Grand Prix of Trentino. The picturesque and compact circuit had been hit by rainfall in the days leading up to the race so the ground was rough, rutty and technical, demanding close throttle control and varying levels of grip. 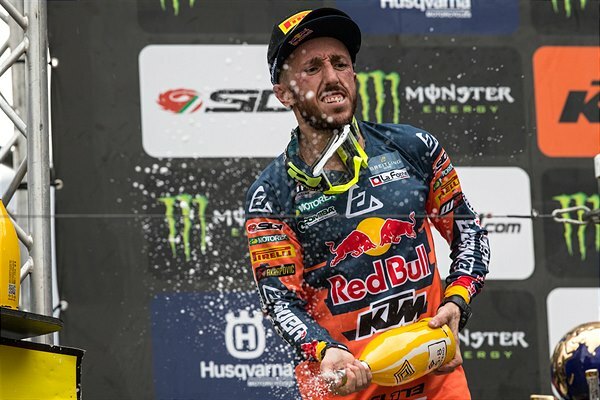 Tony Cairoli was the centre of attention for what was the first of three home Grands Prix on the 2019 schedule. #222 had won the event in 2016 and 2017 and took a 3rd place in 2018. 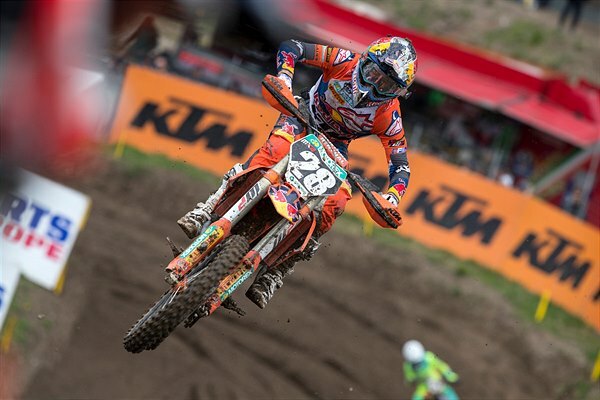 After a close and exciting run with Tim Gajser in the Qualification Heat, the former nine times world champion took to the gate in 2nd spot with his KTM 450 SX-F. 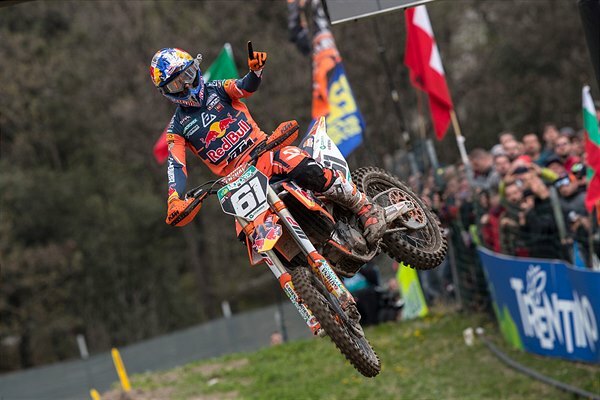 The first moto delivered another tense and exciting chase between the two protagonists as they pulled away from the rest of the pack and Gajser grabbed the chequered flag with only three laps remaining. Tony set the fastest lap of the race on the final circulation as he charged after the Slovenia and just one second split the pair. 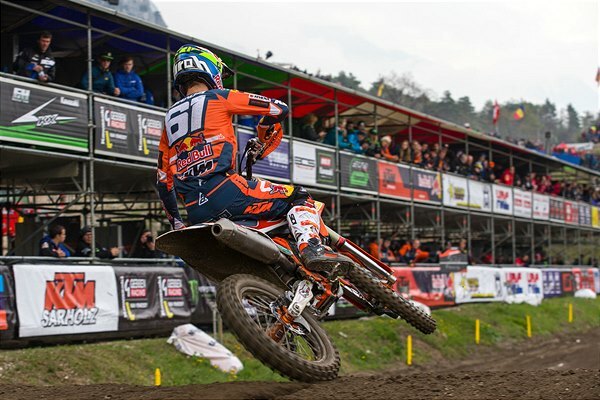 In the second outing Cairoli stalked Gajser and the lead changed several times in a riveting game of cat-and-mouse. Ultimately the day was decided when Tony lost traction and crashed with just over two laps to run. 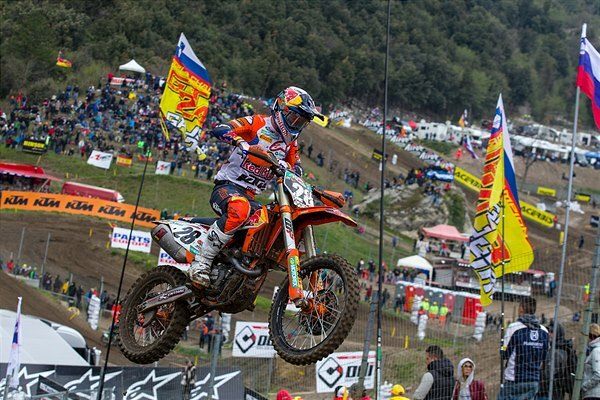 With the large group of Gajser fans and all the local support for Cairoli the grand prix was easily the most electric and entertaining in the 2019 campaign so far. 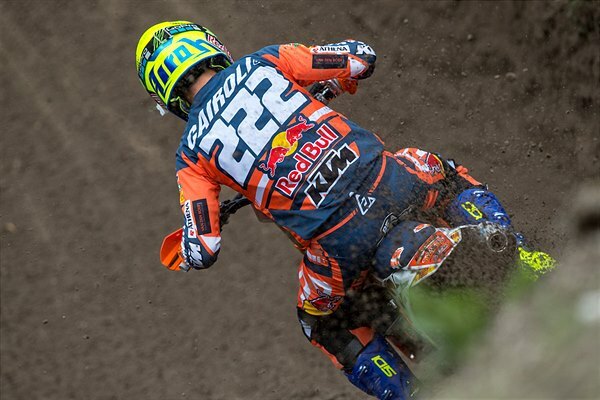 Cairoli leads Gajser by 16 points in the championship standings. 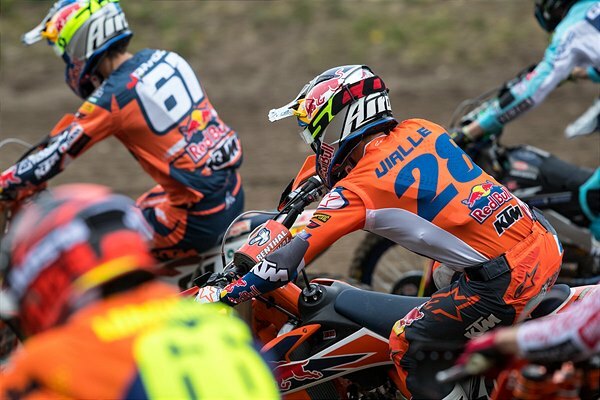 A decent qualification race on Saturday saw Jorge Prado take his third victory and Pole Position of the season (from three appearances) and Tom Vialle score a very decent (and personal best) 3rd position. 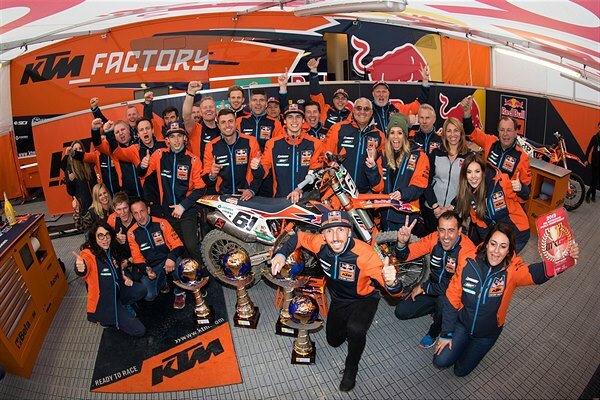 The two KTM 250 SX-F riders benefited from their strong launch potential and excellent engine power to slot at the front of the pack for both 30 minute and 2 lap motos on Sunday. 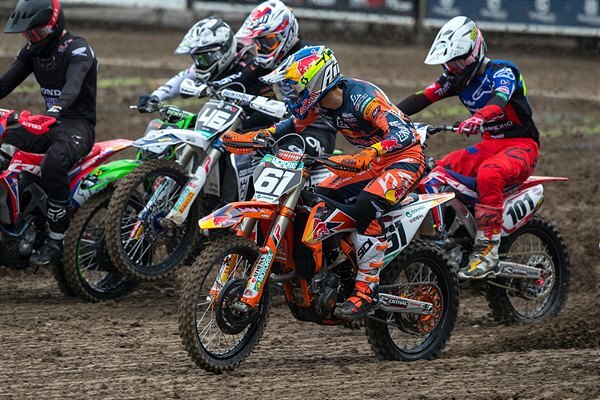 Prado has now logged six holeshots from six starts in 2019. The Spaniard was untouchable at the venue, leading every lap where he celebrated his very first GP victory in 2017 and where he was also successful twelve months ago. 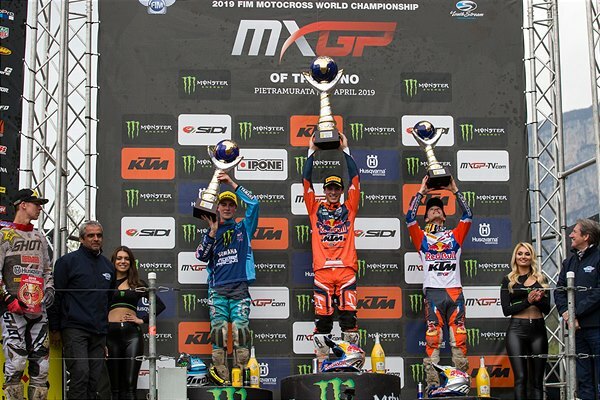 His dominant 1-1 not only completed his hatrick at Pietramurata but also for 2019 so far: he is now unbeaten with 9 for 9 in terms of motos and wins. Tom Vialle’s 3-6 on his first taste of the Trentino fixture was good enough for the rookie’s second podium walk this season. 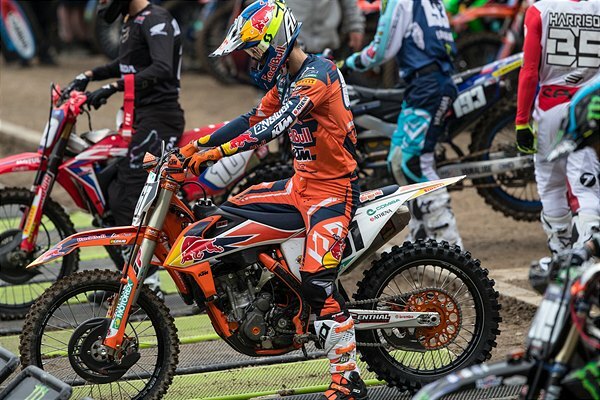 The Frenchman lost four positions in the latter half of the second moto but profited from the final race order to be able to tread the third step of the rostrum. 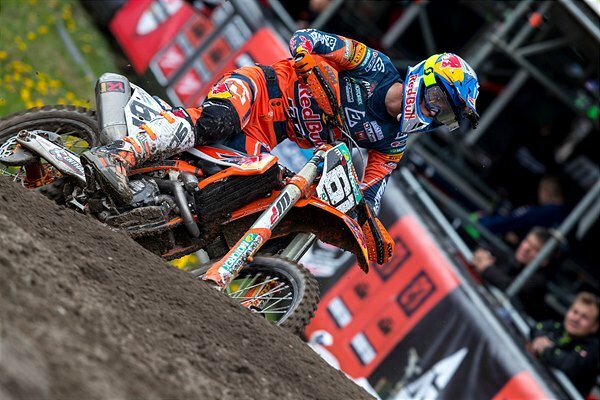 Prado and Vialle hold 2nd and 6th respectively in the MX2 points table. 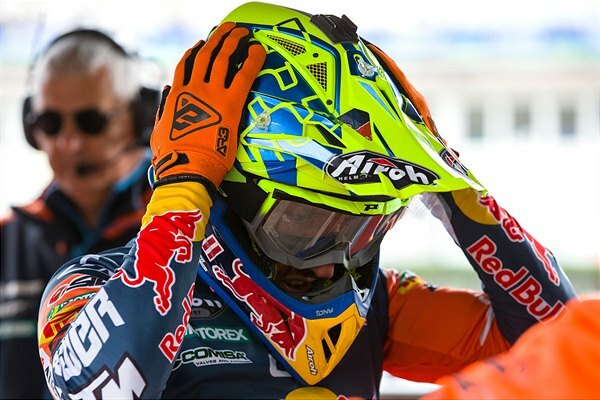 The world champion is just 20 away from the red plate held by Thomas Kjer Olsen despite missing the British Grand Prix (round two) due to a left shoulder injury. 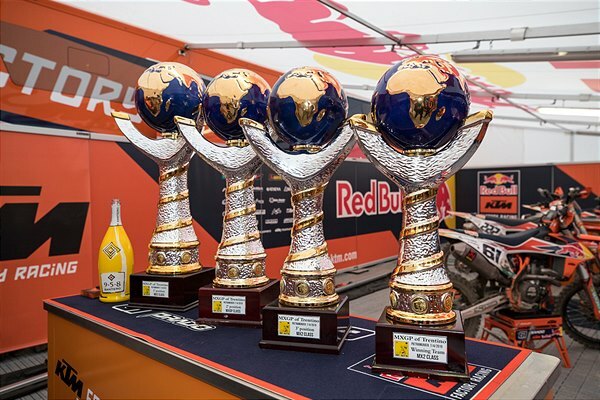 After a busy month MXGP now has a long break of four weekends before gathering again in Italy but this time in the sand of Mantova in early May for round five. The 2019 competition has been trimmed to eighteen dates after the cancellation of the season-ending Grand Prix of Hong Kong.